Yesterday I got to try out clueQuest‘s brand new cQ Origenes rooms. 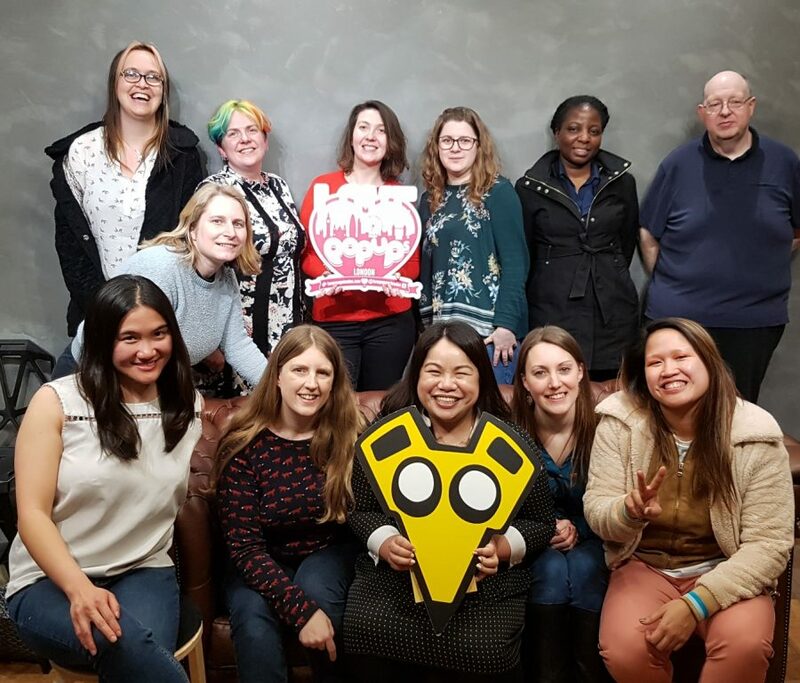 I was invited by Love Popups London to play the room for free with other members of this blogger and reviewer community. I’ve previously played and reviewed the three other rooms they offer, so knew I could expect a high quality escape room. 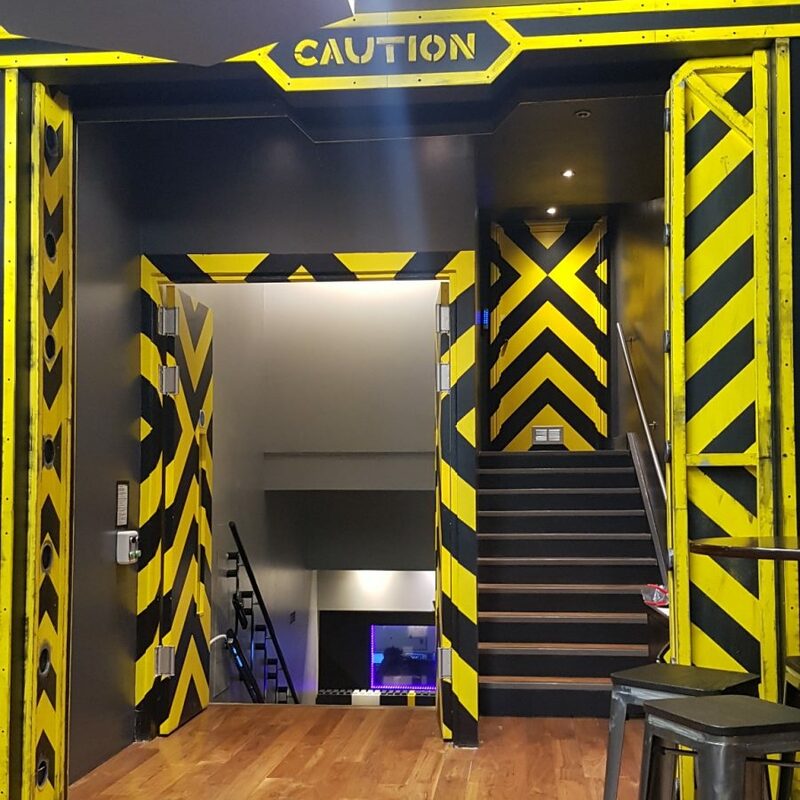 All four of clueQuest’s rooms centre around their thorough theming, they’re not really an escape room company, they’re a secret organisation headed by a yellow mouse, called Mr. Q, who wants to test our abilities and usefulness in his fight agains super villain Professor Black Sheep. Who is, appropriately and unsurprisingly, a black sheep. Each room comes with its own specific theme, storyline, and difficulty rating. 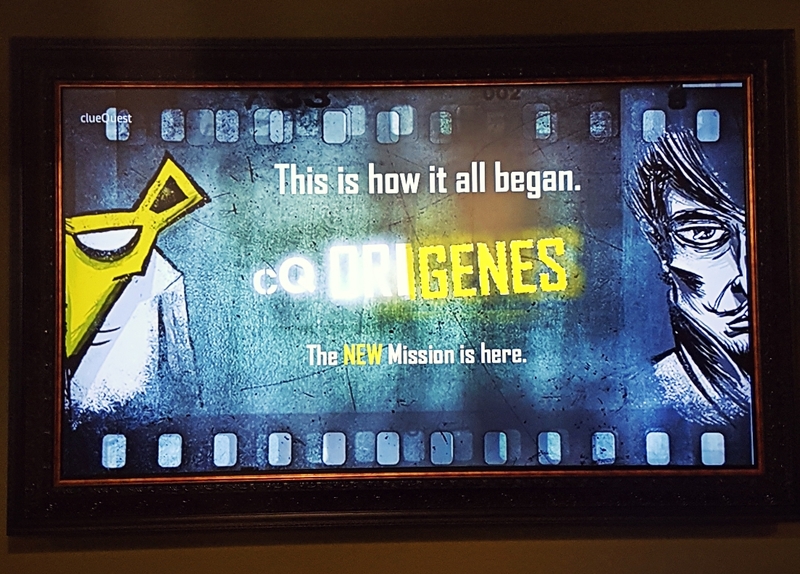 This new one, Origenes, is definitely the most challenging out of the four different adventures offered, but also the most immersive and innovative! Origenes is based on the premise that Professor Black Sheep and Mr. Q used to be humans, colleagues, possibly even allies, before it all went wrong. But now Professor Black Sheep wants to recreate the genetic experiments that turned him into a sheep in the first place. To stop him from extracting sensitive research from the servers, we need to secure the firewall. But the only way to do this is through Mr. Q’s old base, so first our team will have to figure out how to work the Shrink’O’Matic to reduce us to mouse-size to access the secret base. We’ll have one hour before the shrink ray effects wear off. The room is very well decorated with high tech installations and gorgeously made detailling, props are sturdy and perfectly on theme. The room is a mix of linear and non-linear puzzles, so while we had the maximum of 6 people each for the two identical units, it did feel like there was plenty to do for all of us. 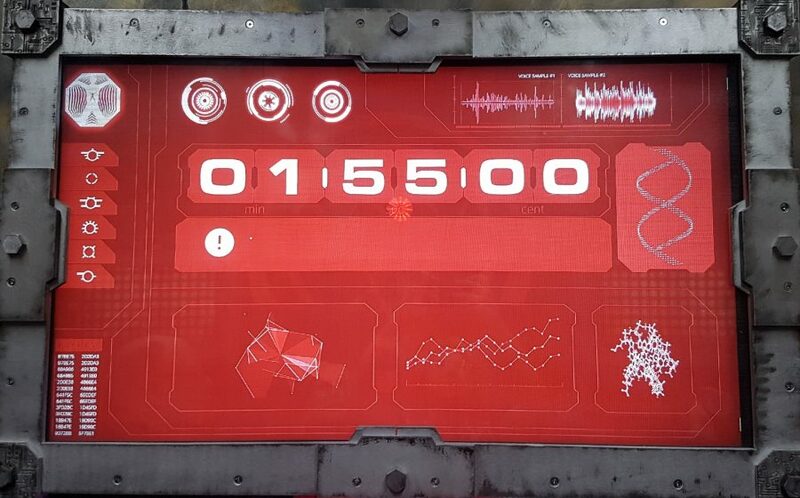 Most of the puzzles and challenges and really well thought out and we only needed a few hints here and there to clarify less obvious parts or those that we hadn’t looked at closely enough. It’s definitely a high pressure room for experienced teams looking for a challenge. According to our lovely game host Rowen, only about 15-20% of teams make it out in the set 60 minute time frame. My team finished the room with 1minute 55seconds to spare, while the second team needed a couple extra minutes to get out. Overall there was less than a 5 minute difference between the two teams, which shows consistent difficulty for teams of varying strengths and experiences, though do it is important to know that both our teams have done quite a few rooms with each other and know each other’s strength quite well. We definitely had a lot of fun in this immersive room without traditional padlock challenges, but rather with plenty of games, puzzles, unexpected props and a consistent theming throughout. Definitely one of the best rooms I’ve ever played! Full six out of six rainbow sloths from me!